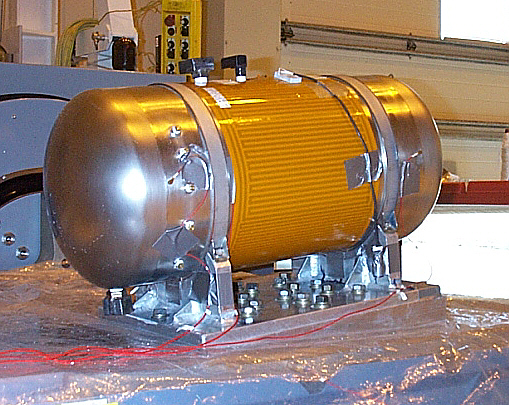 Davis designs and manufactures pressurized potable water tanks for use on board commercial aircraft. These water tanks are lightweight and constructed of stainless steel or titanium. Find out more about the types of potable water tanks Davis can supply for your aircraft. Since 1997, DAVIS has been manufacturing stainless steel and titanium water tanks for the aerospace industry. This product line was an excellent match for Davis' advanced engineering and design capabilities, along with quality fabrication and welding facilities. These tanks must be light enough for aerospace applications, but still robust enough to withstand fluctuating operating pressures and the rigorous environment of an aircraft. 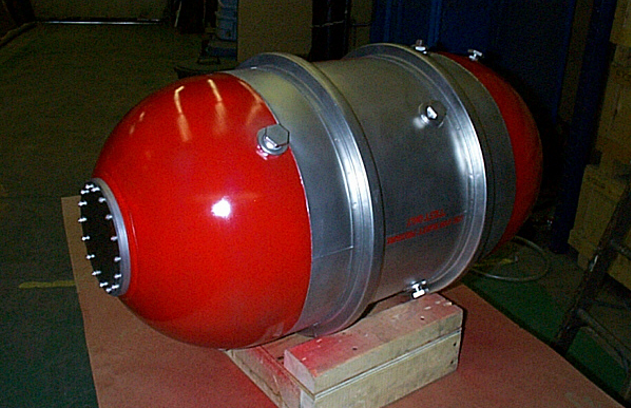 Tanks can be custom-designed to fit any application or geometry and, if required, the engineering staff can work with a client to develop a full Certification/Qualification Program. Environmental test programs compliant with MIL-STD-810E or RTCA DO-160 can be carried out in addition to any functional testing or static pressure testing required. Past tests have included: operational and crash shock loads; environmental vibration; pressure cycling; freezing; high temperature exposure; proof and burst pressure testing. For most commercial/civil applications, the design is carried out in compliance with FAR 25 and USPHS Pub. #308. DAVIS can produce tanks from either stainless steel (AISI 304, 316L, 321) or titanium, ranging in size from one US gallon to over 200 US gallons. We fabricate tanks for both cold and hot potable water, and can produce quantities ranging from single prototypes to full production runs. In addition to potable water tanks, we also have capabilities to manufacture waste water (grey water) holding tanks for aircraft lavatories. Davis will purchase or custom make and install wiring harnesses or components to meet the client's requirements.